Walking into any beauty store is always like walking into a fantastic Wonderland. Makeup products of every kind in every shade and finish just waiting for you to try them on and perhaps even bring them home. It’s not easy to just walk past a Sephora store even when we’re not looking for anything to buy, just to look at the new products or to check out that one product, which we have been eyeing for the past month, for the 100th time. Then, there are also some of us who do a little touch-up in makeup stores. If you’re not one of them, then you’ve probably seen tons of people using the makeup testers just like they would at home. To be frank, most of it is quite off-putting. Just imagine the number of people who have touched the testers and applied it to their skin without any means of sanitisation. Also, lipsticks are the worst. If you can’t kiss a random stranger on the street, why would you want to share a lipstick with them? If you need an example of how unhygienic makeup testers can get, a Californian woman sued Sephora in 2017, claiming that she contracted oral herpes from a lipstick tester. Did she actually get it from a tester? Scientists say, probably not. But the thought of it did scare you for a moment, didn’t it? Even if she didn’t, it’s not hard to believe if she did because, let’s admit it, the testers in some makeup stores and drugstores are pretty banged up. Most of them are messy, broken or just dried out after thousands of people have swatched and applied them. Testers in boutique shops (like Bobbi Brown or YSL) are in much better condition perhaps because the sales assistants are always there to offer help and ensure that their testers are kept clean and in tip-top condition. We know sometimes we just want to take a look without being bothered but they’re doing it for the benefit of everyone. We don’t know if you feel the same way but we would much rather have a rash on our hands than on our faces because it’s easier to hide. The back of our hands may not be the exact same shade as our faces but if you’re testing lipstick or eyeshadow, we’d suggest the less sensitive area. Furthermore, you can swatch multiple shades on the back of your hands compared to your face so isn’t this a win-win? 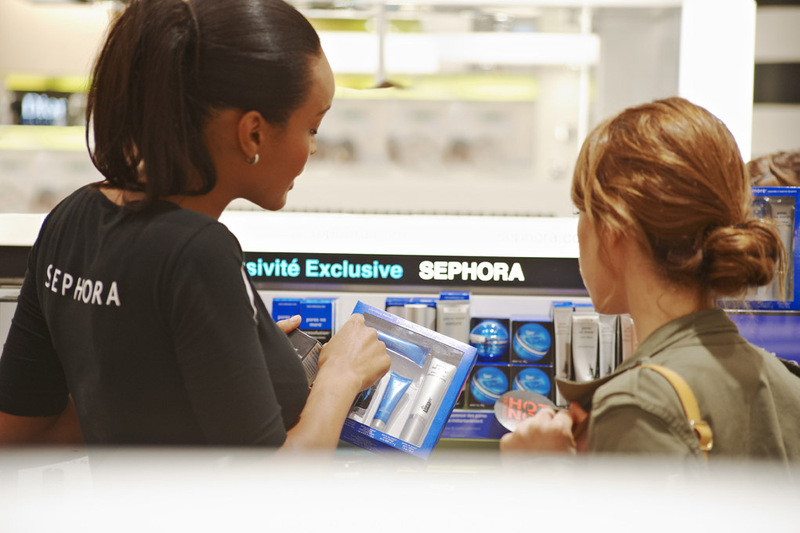 Recently, Sephora and Benefit launched online interfaces to allow customers to try on various looks virtually! You could virtually try products from all in-store brands or test out a brow shape without going through the painful (physically and emotionally) trial and error process. Virtual tools can be slightly inaccurate at times but looking at the advancements in technology (like Facial Recognition in iPhone X) we think that it’s definitely something to try out before you head to makeup stores. You don’t even have to leave your house to test shades, isn’t that a dream? Makeup counters usually have cotton wools, a bottle of makeup remover and one more bottle of unknown liquid. That bottle is usually a sanitising liquid that we can use to sanitise the testers before we use them! 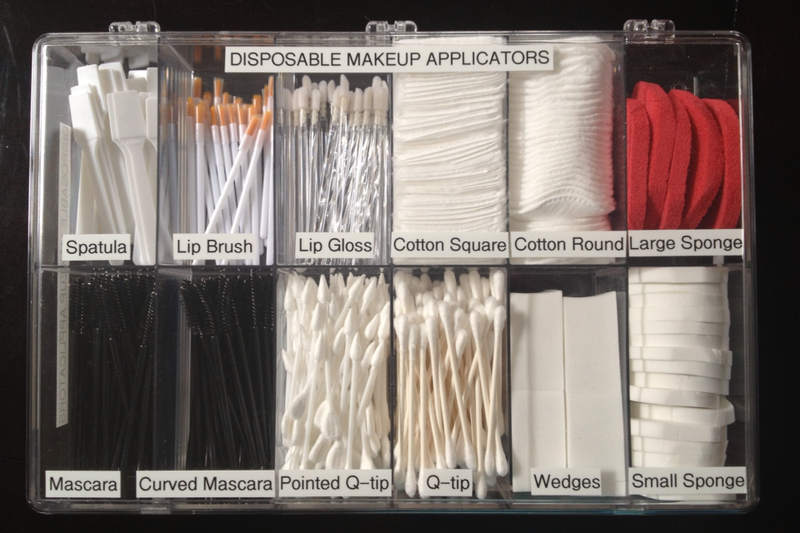 We know that some of us may want to use the testers to touch up our own makeup so, if they’re available, use disposable applicators. Although it’s much more convenient to just use our fingers or directly apply the product, let’s spare a thought for those who will use the product after us. That’s what we’d want those before us to do as well, right? Also, don’t double dip! At boutique shops, the sales assistants are more than willing to help you apply the products if you’d like to test out some shades. They clean the products thoroughly (either cut of the top layer or wipe it on a tissue) and use clean or disposable applicators to perfectly apply the products on you. 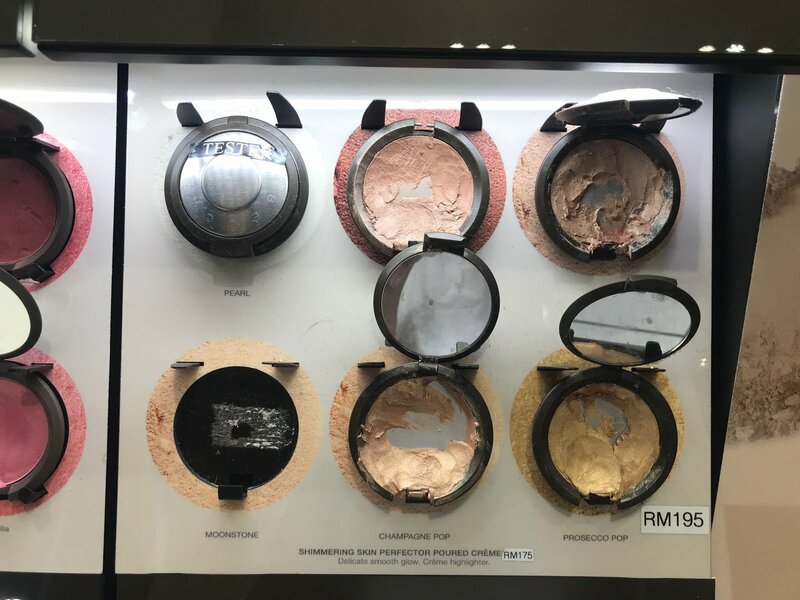 We also found out that sales assistants at Sephora would help you pump out a small sample of foundation into a tub for you to bring home and try with your own set of clean brushes and sponges. You also won’t be misinformed by the bright lights in the shop (we’ve all been there) so you can finally find your perfect match before you commit to the foundation shade. At the end of the day, we do live in a world full of bacteria and viruses and it’s difficult to avoid them totally. However, there are small steps that we can take to ensure that the testers at our beauty counters are as clean as possible so let’s working together for a more hygienic beauty community.